Hello fellow Azurians , as a famous line says, "Home is where the Heart is " , lets not forget our cute houses or fabulous mansions. Tour us !!! 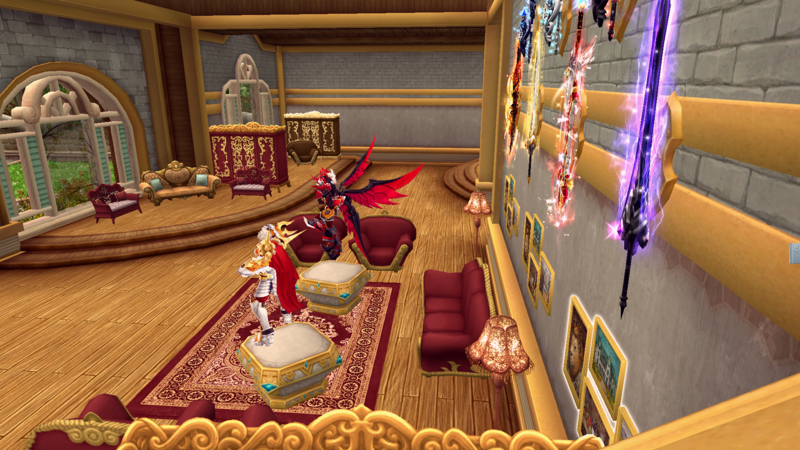 share us screenshots of your azurian manors, how you artistically arrange everything from the color of your fairy tale carpets to your different collections of Statues and how you enjoy having a tea party with your loving friends!!! 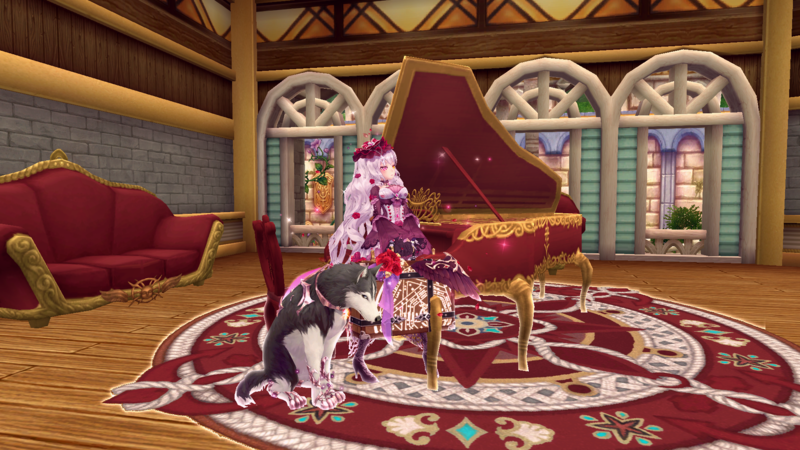 *clicking the piano keys and start singing . . .
"Making my way down town walking fast ,faces passing ,I'm home bound . . . tenn tenen tenennnnn...!!! " The post was edited 1 time, last by HarleyQuinn ( Feb 22nd 2018 ). The pictures and plush bunnies are all from a friend who quit the game . 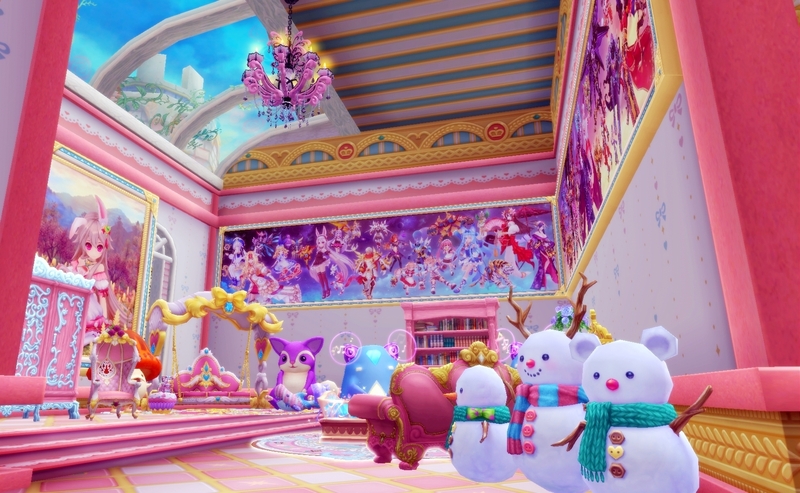 Ohh my @Cookie , your house looks AMAZING!!!! i love how everything is so neatly arranged into place. HERE IS MY HOUSE! FROM THE START OF THE HOUSING SYSTEM PATCH TILL NOW IT'S THE SAME! The post was edited 1 time, last by eL_DIABLO ( Feb 22nd 2018 ). 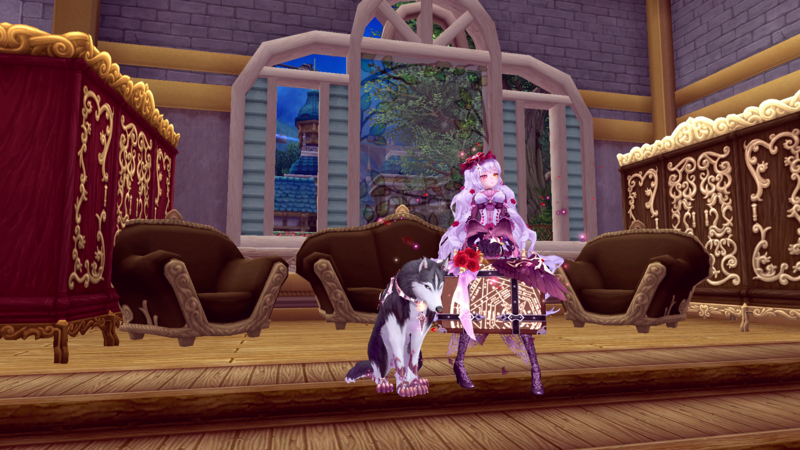 meet my maid Pandora and my Siberian Husky "Eve"
My Maid take a selfie with my dog... Again.. Still hunted with Ghouls. . .
Nah,it still depends on those people who like your posts or not , and i think its not against the Rules to post one at a time here right? 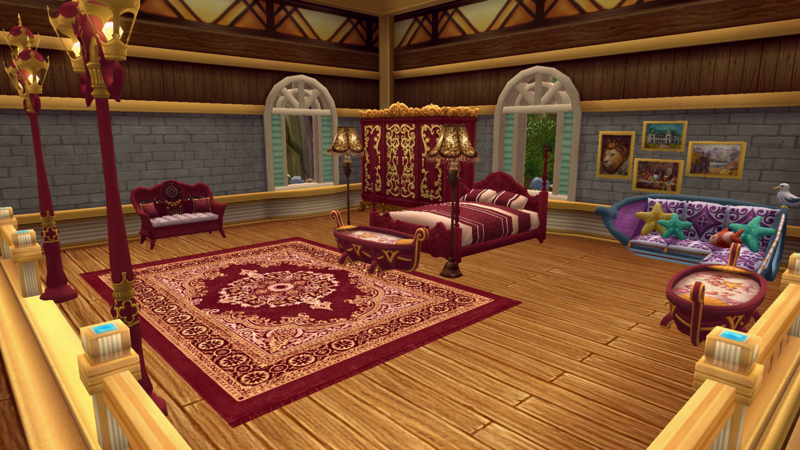 Must see more your house is amazing. Do you ever change styles for it? 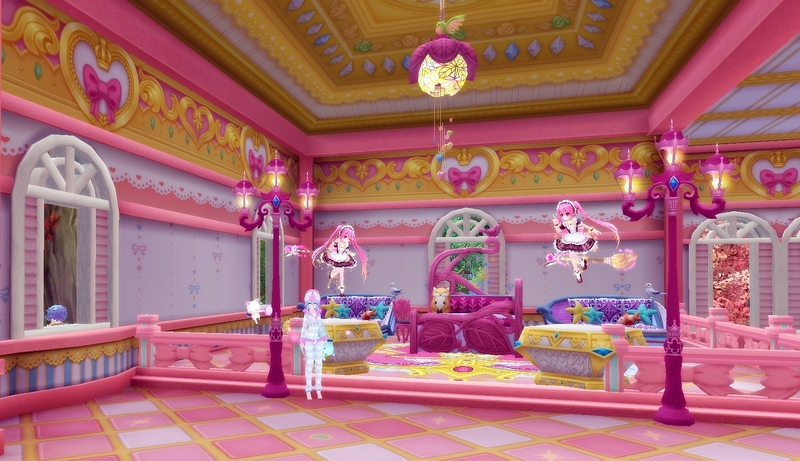 @AelynAngel nyaaa thanks for sharing your simple and cute home sweet home hihihi I like how your 3 kitties guarding your stairs hehe and the beautiful fountain at your garden! 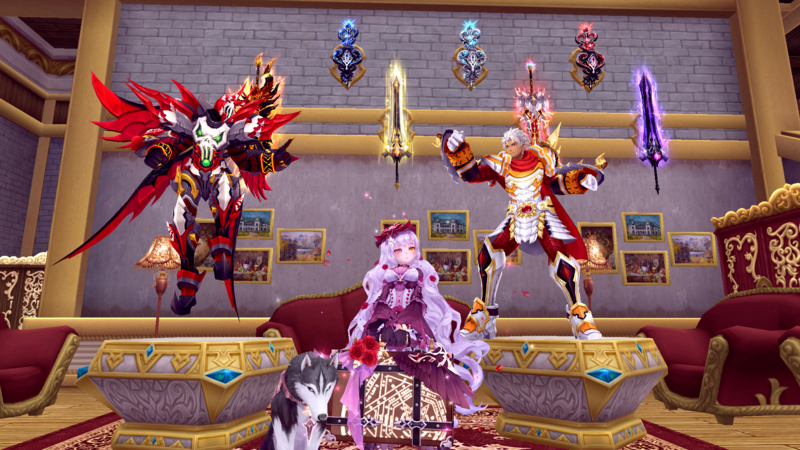 I wish i had one tho I got lots of statues ,too like yours tho most of my statues are lolis hehehee Just a little bit of crafting and I'm sure you will level up your house soon! Nyaaaa!!!! The post was edited 1 time, last by HarleyQuinn ( Mar 2nd 2018 ). The post was edited 2 times, last by HarleyQuinn ( Mar 2nd 2018 ).